Worldwide mining supply is currently falling, worldwide demand is skyrocketing. Hopefully it is easy to understand what this will do to prices. The intro can be found here, and each day can be found on the archive list to the left as we lead up to Christmas day. For decades Central Banks have been selling their gold into the open market. About six months ago they became net buyers. The biggest announcement thus far was India's purchase of the IMF's gold reserves, which rocked the gold market. Prepare to hear about larger and larger purchases coming from Asia as they continues to diversify out of their dollar holdings. Gold represents about 3% of China's total reserves as of their last report. That percentage will change significantly over the next few years. They must move slowly in order to keep gold prices from rising too quickly, and keep the dollar from falling too fast. The monthly new home sales numbers were released a few moments ago and they came in "shockingly" low. Market observers will shake this off as a one-off month before we resume back to home building happiness. I view it as a snapshot of what is to come. I am involved in negotiations with some of the larger banks in the country with some of their smaller land deals. The real estate firm I work with uses creative strategies to try and help deal with some of their toxic positions. In most of the land deals I see cross my computer screen today, the lots to build on need to be priced at $20,000 or below in order to make the deals work. That means they are essentially giving the land away in order to remove it from their books. In some of these deals it is still not possible for builders to make a profit, with the land costs at zero! The real estate market will reach a point in the future where the cost to build a new home will be above the price of a similar home in foreclosure or short sale right across the street. Those homes will provide the new market price. It is at this point home building operations will shut down. These stocks do not represent the shorting opportunity they did back in 2006, but they are certainly not buying opportunities today. Many will shut their doors completely as we move forward. We live in a world today where all currencies around the world are backed by nothing. This is the first time in history that this experiment has taken place. Currencies today are not valued against a tangible item, they are valued against each other. So while some weeks one currency may rise in value and other weeks fall in value, against their counterparts all currencies are losing value simultaneously. Since then investors have essentially "woken up" to the possibility that it's not only states and corporations that can fail, but countries as well. The Dubai news has recently calmed, and all eyes have turned toward the country of Greece which is suffering a fiscal meltdown. Greece is a fascinating story to watch because it is interlinked within the multi-country currency: The Euro. Two of the major rating institutions have recently downgraded the government debt of Greece to BBB status. If Moody's, the last of the three rating agencies, were to downgrade the debt to BBB status it would cause a massive tremor in the world financial markets. A BBB rating from all three institutions would then prohibit the European Union from stepping in and bailing out their sister country. This would equal swift default from a large portion of their debt in the coming year. The implications of this in the currency markets would be staggering. A similar scenario happened last fall when a company named AIG was downgraded by the three ratings agencies. You probably have heard that story. Greece is not alone with debt problems. Many other small countries such as Lativia may soon follow if the first domino were to follow. No country in the world, however, has fiscal problems that compare to the United States. We are so far beyond insolvency that it is almost laughable. So why are we not hearing about a US default? Because we have a printing press and Greece does not. As I have discussed in great detail, Bernanke was a major buyer of United States government debt during 2009 and will continue to be as we move forward. This global crisis has opened many investor's eyes to the problems associated with these paper currencies. Only a few weeks ago, Dubai debt traded at 110 meaning investors priced it as if there was less than 0% chance that it would fail. Less than 2 weeks later the debt traded at 65 in the open market. That is how quickly things can change. That is how quickly things will change as we move forward. Gold has no counter party risk, meaning there is no one you rely on to pay you when its time to get your money back. As simple as this sounds, it will soon become its greatest attribute. If you asked them what percentage they had in gold they would probably walk away from you and shake their head. Most Americans do not even know how to buy gold, nevermind actually own it. It is considered "strange" to own such a thing. Most mutual funds, pension funds, or hedge funds have 0% invested in gold and only a few have invested a few % points of their total portfolio. When we crossed $1,000 we entered the third phase of the bull market: optimism. This is the longest phase of the four and it is the most volatile. At the start of this phase you see the gods of the financial world enter with full force. Names like John Paulson, David Einhorn, George Soros, Julian Robertson, and Jim Rogers have been piling into the market over the last 12 months. This is the group that was considered "strange" a few years ago when they were buying investments that shorted something called "subprime" debt. Paulson made $15 billion in 2007 shorting subprime, which was 15 times the legendary profit George Soros made shorting the British Pound back in 1991. Paulson personally made $4 billion in 2007, shattering all annual records. He now has 46% of his entire hedge fund in gold. All investments move through periods of being under valued to being over valued. Gold went through a similar process back in the late 1960's -1980 and it has just started again. 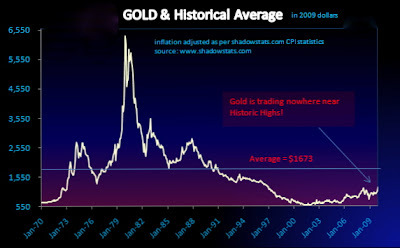 You can see where inflation adjusted gold currently stands from its previous peak back in 1980 by looking at the graph below. It will follow the same pattern during this bull market again. The public will come rushing in at the end as they always do and push the prices to unimaginable levels. John Paulson and the group above will then be ready to sell the gold they are buying today. At that point it will be time to move back into stocks, bonds, and real estate. 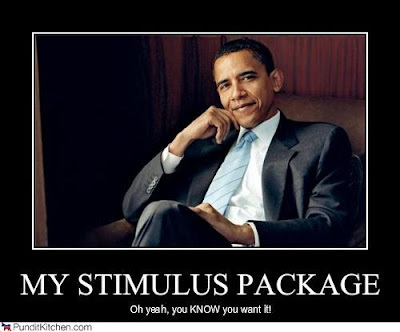 Back in March, Obama told us we needed to provide a $700 billion stimulus program that would bring us out of recession. He promised the program would create 3 million new jobs. A few weeks after the bill was passed, they passed another $400 billion supplemental stimulus bill. All total was at $1.1 trillion for job creation. As I said at the time, the failure of this bill would bring on another stimulus bill, then another. We now have the ability to see the effects of the first bills. We have lost 3 million jobs, and our economy is mired in deep recession. Last week the government announced a new stimulus bill that will begin at $145 billion. This bill has been tagged the bill for “main street,” since the money for the last bill mostly entered the hands of wall street. Here’s my prediction for the bill: It will be an economic disaster. Why do I think this? Do I just guess on how well they will use the money? No, it’s Econ 101. Austrian Economics that is. Texas Tea. When the government creates a stimulus bill it means they take money from a productive sector of the economy through taxes. They then use the money to try and “stimulate” because they think they can utilize the money better than the free market. They take from one hand and give to the other. Here is the secret: They NEVER will be able to run the economy as productively and efficient as the free market. It has NEVER happened in history and it NEVER will. The most productive thing a government can do is shrink in size and become less damaging to the economy. This tactic has ALWAYS worked throughout history. It is also the exact OPPOSITE of the playbook the Bush and Obama Administrations have run. With the failure of this stimulus bill it will bring another stimulus bill. The failure of that bill will need another stimulus bill. We thus run up higher and higher deficits with each bill and weaker our currency further. This is very bullish for the price of gold. The gold bull market is still young. Another good weekend for radio broadcasts while you enjoy the basketball and football. Jim Puplava provided two great discussions about the year in review and where we go from here. The first can be heard here. The second continues the review and features a fantastic interview with Gerald Celente who reveals his trends for 2010 which can be heard here. Eric King had an excellent interview with David Tice of the Prudent Bear Fund which can be heard here. We also had the Friday night bank failure update, and the stream of news out of China from their Central Banker, the dumping of dollars, and the problem with treasury purchases. The two big book releases for the holidays were "The Greatest Trade Ever," about the legendary hedge fund investor who bet against subprime, and "Aftershock," which focuses on where we go from here with the global economy. I just finished reading both and they are fantastic. You are probably sitting at home today watching some college basketball thinking to yourself, "What is the Tuna going to bring me this year for Christmas?" I've thought long and hard and come up with the ultimate gift. You've been hearing relentless talk during the current gold pullback about why the bubble has finally burst. This talk is nothing new for long-time gold holders, but for most new comers, it might be a bit startling. I've decided to gift you 7 reasons why this bull market is still young and the current pull-back is one of many to come over the next few years. I began buying gold back in the $500's, so this is my third gut-wrenching pull-back. I even warned about the strong possibility of a correction a few weeks ago in my December 1st post: "Adjustable Rate Time Bomb" . 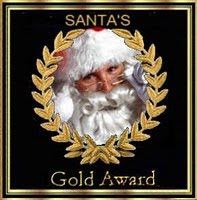 Below is my in-depth argument explaining why gold has only just begun its long term rise; presented in 7 points over the 7 days leading up to Christmas. The Fed has embarked on a program known as Quantitative Easing, which is a fancy word for printing money and buying US treasury bonds (government debt). The total debt purchased through this program was $300 billion. It has also created a program to buy mortgages. Bernanke has told us the buying spree will total $1.3 trillion and end in March 2010. Along with these two monsters, they have injected endless amounts of liquidity into the financial system - specifically agents like AIG, GMAC, and Citigroup, who are now government money pits. The Fed has told us all year that they have an “exit” strategy to remove this extra money from the system, just as they told us back in 2006 that the subprime problem would only create $200 billion in losses and it would not effect the overall economy. A closer look at the numbers and the future shows that not only will Bernanke not have an exit strategy, but that the Fed’s balance sheet has only begun its exponential growth. For fiscal 2010, Obama will run a $2 trillion deficit based on rosy projections of economic growth. They will also have another $2 trillion of short term government debt that will have to be rolled over and re-financed. That leaves $4 trillion in government debt to be financed next year in order to keep the USA from declaring bankruptcy. The governor of the Bank Of China this week said, "It is getting harder for governments to buy United States Treasuries because the US's shrinking current-account gap is reducing the supply of dollars overseas." What this means in simple terms: over the past few years our economy, which has been based on borrowing and spending to buy foreign products, is now self-combusting. Why? Because our citizens are no longer able to stomach additional debt. They have all they can handle and are now starting to save money. Previously, we would purchase the foreign goods and run large trade deficits. This means they would send us the products and we would hand them dollars that we borrowed. In turn, they would take those dollars and re-invest them back into the United States. This kept inflation low in their countries and also kept our currency strong allowing us to buy more of their goods. It is obvious that this situation is unsustainable and eventually must change. We have reached that point. Because we are buying fewer of their goods, we are giving them less dollars. This means they have less money to purchase Treasury bonds. This does not take into account that over 50% of the foreign treasury holdings are concentrated in China and Japan. Both countries have not only stated that they do not want to purchase more, but they are looking to sell what they already have. Any bonds foreign countries sell add to the $4 trillion that must be sold next year. It is a tidal wave of supply. 1. The Federal Reserve has been making direct purchases of bonds (the $300 billion just discussed). 2. The Federal Reserve has been making indirect purchases of bonds. You probably have heard the term 'Federal Funds Rate', currently at 0%. 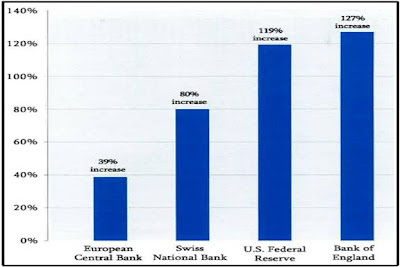 This is the rate which the Federal Reserve lends money to banks. This year, the large banks have borrowed an enormous amount of money at 0% and then invested that money in treasury bonds at 3-4%. It is clearly obvious how easy this strategy is to making money. A 5-year old can do it. The total purchase from banks into treasuries this year is over $250 billion. This has been an enormous portion of the demand. The second strategy the Fed has used has been a sleight of hand trick with the $1.3 trillion mortgage purchase program. Foreign central banks accumulated large quantities of mortgages during the US housing boom years. For obvious reasons, they now wish to unload that toxic debt. The Federal Reserve has approached those banks and bought their mortgage holdings in exchange for freshly printed cash. The central banks have taken that cash and used it to purchase Treasury bonds. The Federal Reserve has promised to not only stop these programs next year, but remove the liquidity with their “exit strategy.” They have not yet explained what their exit strategy is. The reason for this is because an exit strategy does not exist. The programs will not only continue, but grow as we move forward. As foreign countries are no longer able to purchase our debt due to a lower trade imbalance AND lower demand, our government is running up debt at a rate the world has never seen. I will discuss all government debts around the world in a future day of Christmas, but the point of this day was to show you why the money printing will not stop due to increased American debt. We are currently in the eye of the storm for housing loan resets and foreclosures. The Fed knows this. They understand that there is no way they can stop buying mortgages without the housing market collapsing. Fannie Mae, Freddie Mac, Ginnie Mae, and the FHA are heading for SERIOUS insolvency problems in the years ahead. Not o nly will the Fed have to purchase the majority of their bad loans, but they will have to help with bail outs of these toxic monsters. This does not even take into effect the bail outs that will be needed for the FDIC, commercial real estate, credit card debt, and state and local governments. These are looming crisis triggers that can emerge at any moment. 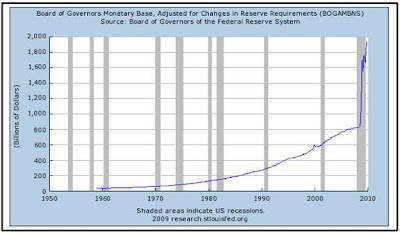 To summarize, the Fed has boxed itself in and its only hope of exit will be to expand the money supply. As investors realize this, they will move toward gold. The gold bull market is young. It's amazing that one year ago, as we were celebrating Christmas, most Americans were just realizing that our financial system was insolvent. Today most Americans believe that everything is okay. I have to give it to Obama, Geithner and their team. They have pulled off of the greatest confidence games in world history. The most important part of their con was to change the accounting rules. Up until March of last year, the banks had to mark their assets to market. This means that if a loan fell in value by 20%, they had to take a loss of 20%. The same is true for the opposite side, if an asset rose in value by 20% they could book that is profit - this is what led to the gross bonuses and share price growth during the 2000’s. Today a bank marks an asset to myth. This means they can say a piece of real estate is worth the full amount of the loan they lent it out at in 2006. This allowed them to stop taking write downs, and thus stop taking losses. Of course the losses are still there, hidden in the balance sheets, but they do not have to show them. In addition to this, while most of the banks have given back their TARP gift, it is now clear that they are backstopped by the government should they run into future problems. They have all become wards of the state. Thirdly, as discussed during Day 7, they can now borrow money at 0% from the Fed and purchase treasury bonds from the government at 4%. This is an easy way for the banks to make money. There is an unintended consequence for this action. As you’ve probably heard, it is impossible for anyone to get a loan for anything today. Someone trying to start a business or a real estate investor trying to purchase an investment cannot get a loan at any price no matter how good their credit is. The money flows have moved toward unproductive government spending, thus stifling the growth of American business and American investment - which create real economic growth and jobs in a country. This distortion of capital concentration leads to a weakening currency. At some point the real losses on the balance sheet will have to surface. The banks now have $1 trillion in reserves (they had $2 billion total in 2006) to prepare for the write downs. I do not think $1 trillion will be enough once the ship begins to break. Remember, the derivatives market is now over $600 trillion in size. This is the dark off-balance sheet world where losses must be paid with dollars in the real world. The banks problems have only just begun. As investors realize this they will move toward gold. The gold bull market is young. No new information from the Fed today. They left rates unchanged and said they would be ending their treasury and mortgage purchases early next year. With $4 trillion in treasury debt that needs to be sold next year and no buyers for mortgages in the market, it will be interesting to see when he announces that those purchase programs will be continuing. He has until about March so I wouldn't worry, he has plenty of time to break the news. Until then just watch the Fed's balance sheet grow and grow and grow. The stock market hit new highs for the year yesterday as Wall Street cheered on America's new bull market and economic miracle. Streaming across the news was more excitement over the recent announcement of banks across the board paying back their TARP bail out money now that all the problems are behind us. A poll this week showed the number of bears (people worried about the economy and stocks) at a 6 and 1/2 year low and close to the time record low that was set 21 years ago. This means, once again, the Tuna is alone with worries about the economy. When I began writing these articles in the Fall of 2007, my focus was on the coming disaster in the financial sector based on the troubles in the real estate market. I became curious during 2006 when trying to figure out how the people would pay for the homes that I was selling. After a lot of reading I found out about how loans were packaged and terms like CDO's and Credit Default Swaps. I began writing about my concerns during that fall as a way of helping me remember and understand the topics I was reading about. 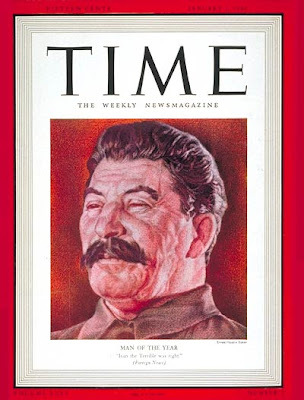 For 12 months readers could feel that there may be a problem but dismissed the notion using terms such as "chicken little" and "far too extreme." Since then my focus has been on the impact of the decisions made during that fall. Decisions that continue to be made today. The government decided at that point that they would bail out everyone and that they would except no short term pain for the mistakes previously made. Fannie, Freddie, Citi, Bank of America, Goldman Sacs, JP Morgan, AIG, and General Motors all were nationalized overnight. The notion that the money is being given back to the government today is laughable. All these companies are bankrupt and walk around today as zombies due to accounting gimmicks and the full backing of our tax dollars. What happened during the fall of 2008 was that the government decided to put the full pressure of every loss moving forward on the back of the American public debt. The deficit this year which was initially projected to be $400 billion, topped $1.9 trillion including off balance sheet items such as TARP. It makes no difference whether you want to call something "off balance sheet" because the interest still needs to be paid on it every month. Obama is already in the works to prepare a second stimulus package due to the complete failure of the first to create jobs. The Obamacare bill appears to be moving along nicely and other plans of destruction such as cap and tax appear to have legs as well. I believe that by the end of next year or early 2011 the United States is going to face a crisis in funding its debt. This will change the complete landscape of the country we live in today. The Federal Reserve will have to decide who it wants to save with its printing press. As the dollar begins to plunge, they will be limited on their ability to save everyone as they are today. One of the least likely sectors I believe they will look to protect is commercial real estate, which is why I am preparing today to be a buyer in that market. Another market is residential real estate. People buying homes today will be slaughtered when the Fed is no longer able to function as the mortgage market. The "bottom" in the housing market you hear about has now become the selling opportunity of a lifetime for current homeowners. The exact details of how it will play out are impossible to see because you cannot forecast how much damage Bernanke will ultimately achieve with his printing press. If he backs away as he should, then you will see stocks and real estate plunge as we enter the long overdue deflationary depression. If he does as he has promised and turns the money printing on full steam then we will experience the worst case scenario. Until then, enjoy the world we live in today because we are currently in the eye of the storm. What we experienced last year was just a warm up for what is on the way. Legendary investor Jim Rogers, who co-founded the Quantum Fund with George Soros, takes some time to speak with Maria about the financial markets. I do not enjoy being the bearer of bad news but what little time I spend watching or reading the mainstream news I can tell that the United States has once again lost its collective mind in euphoria. Not only do an endless stream of market and economic commentators talk about our exit from recession, they speak of a tremendous growth that is now upon us. However, one only has to turn off the television, close the newspaper, and open their eyes to see what is actually happening. A CNN survey this week found that 84% of Americans believe the economy is still in recession. A record 37.2 million people, or about one out of every eight Americans, received food stamps in September. This month's job data showed that 17% of Americans are still out of work. Alternate data using the same measurements from the 1980's, shows that the unemployment rate has crossed 20%. 1 out of every 4 mortgages in this country are currently underwater, meaning they owe more on their mortgage than their home is worth. Obama's 47 percent approval rating is the lowest of any President in history, 10.5 months into their Presidency. The recent talk from the Obama camp is that due to their brilliant management the TARP program has lost $200 billion less than they expected. In their reports they make no mention of the bottomless pit of money that AIG has become, or the billions lost in the auto company nationalization, or the billions lost in the Fannie/Freddie nationalization. They fail to mention that the Fed has increased its balance sheet by over $1 trillion to purchase the toxic assets in the market including many that were on bank's balance sheets. Their focus is that the large banks by and large have and will continue to pay back their TARP gift. What is ironic about the situation is that the banks are in far, far, worse shape today than they were 12 months ago during the "financial crisis." What has temporarily hid this from the public is the accounting change for banks made last March. Banks are now allowed to mark their assets to "myth" instead of market. This means they can claim that a commercial real estate building that is worth $10 million is worth $20 million. They have to take no write downs and profits magically appear. My question is......if the banks are in such good shape, why are they hoarding $1 trillion in cash at the Federal Reserve instead of lending that money out into the economy? Ah, the reason is that the banks understand that they are still insolvent. Even more scary is seeing that they are actually more leveraged today then they were at the peak of the real estate boom. So due to the return of the TARP money, plans have already been made to use the money toward "job creation," as if the TARP money was some basket of profits. The money is borrowed debt, which has to be borrowed/taken from the economy to create Obama jobs. The notion that the money is available is a game of smoke and mirrors, a sales job. In truth we are not at the beginning of economic growth, but in the early stages of economic disintegration. Our state budget shortfalls are massive and some sort of bail out will be needed soon to stem the hemorrhaging. The banking system has been nationalized and is now insolvent. The FDIC which stands behind the saving deposits of Americans at their banks has no money. The FHA and other government entities are now creating 96% of all new mortgage loans purchased today. The FHA, Fannie Mae, Freddie Mac, and Ginnie Mae will continue to need endless billions in lifelines in order to keep funding the collapsing housing market. Waiting in the shadows is well over 10 million in foreclosures that will eventually have to be unleashed on the market. This does not include the $1.3 trillion in mortgages the Fed plans on selling into the market next year to soak up the liquidity. Over the past 12 months, the 2009 fiscal year, we have run a $1.4 trillion deficit. This is "on balance sheet" accounting. When you account for "off balance sheet" items such as wars, social security, and medicare, we ran an $8 trillion deficit for the 2009 fiscal year. For the past two months, the first two of the 2010 fiscal year, we have run a $296 billion "on balance sheet" deficit. Many estimates project the total budget deficit to approach $10 trillion this year alone. Just as many in 2005 saw home price appreciation as never-ending, many people today believe that we can continue down this path permanently. They believe that mortgage rates will always be less than 5%, and that government T-Bills will always yield 0%. To me those look bubblicious, but it will be up to the market to decide. I believe we have less than 18 months before the country we live in today becomes a shadow of its former self and, as I continue to repeat, opens up opportunities for prepared Americans to invest in the rebuilding of our country. You may have heard in the news recently that the United States has funded its debt through "short term" bonds, and that this may become a "problem" as we move forward. So what does that mean? Lets discuss and put some numbers together. The term "short term" debt became popular as the year 2000 hit when many people in the country began financing their homes with adjustable rate subprime mortgage. When you get a $500,000 loan for a home with a 2 year "ARM", that means your interest rate will adjust after the second year and begin to float up or down with the current market rates. This option allowed homeowners to lock in at below market rates for two years because lenders knew they would be protected in the future. When discussing government debt, the situation is different for the borrower. Imagine that instead of a homeowner borrowing $500,000 you are Obama borrowing from the Chinese. You decide you want to borrow the money for a two year term because the interest payments are lower and it will save the country some money. Why does this matter? Because the vast majority of our debt over the past few years has been financed with short term debt that will be coming due. Within the next 12 months the treasury will have to re-finance $2 trillion in short term debt. Over the past few years our foreign lenders have decided to "roll" the debt. This means that when the bonds come due for payment they just put the money right back into treasury bonds. Everyone assumes this will continue to be the case moving forward. But what if its not? What if some investors asked for their money back? The government has no money to pay for these obligations. Remember, on top of this $2 trillion coming due, Obama plans to run a $1.5 trillion deficit this year. This means he has to sell $3.5 trillion in debt in the open market this year. If the entire savings of Americans during good economic times were used to help cover the difference it would total around $600 billion. This leaves him $2.9 trillion short that he must convince the rest of the world to buy. .........but I want to discuss option 2 just a bit further. 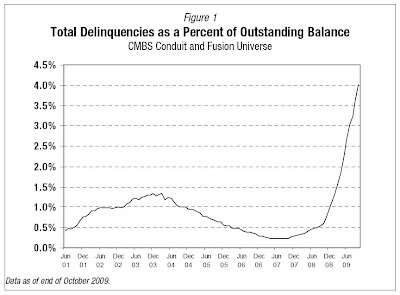 As you can see they took unprecedented and unimaginable steps during the fall of 2008 to "save the financial system." We are now feeling the consequences of their decisions as we have seen a huge stock market rally, the dollar get hammered, and precious metals setting new records every day. The question on every one's mind is, where do we go from here? 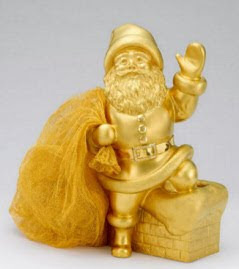 Bernanke has stated that he has an exit strategy in mind to remove the excess money he has printed over the past year. However, as you can see by the chart above, the Fed's balance sheet is now composed in large part of mortgages and treasury debt. In order for him to shrink the size of the balance sheet he would have to sell hundreds of billions in mortgage debt into a market that does not exist right now. He would have to sell hundreds of billions in government debt into a market where we need $3.5 trillion purchased next year. He has boxed himself into a corner. The truth is that he will not shrink the size of his balance sheet, but it will explode in size as we move forward. If he does not continue to buy mortgages the market will collapse. If he does not continue to buy government debt then we will have to declare bankruptcy as a nation. If only the city of Dubai had the printing press that we have here. Our default has been hidden by an ocean of liquidity. All paths lead to a coming currency crisis. Most people within the financial world feel that as long as the dollar falls slowly and gold continues to rise slowly, then it will be a healthy rebalancing of the global economy. I believe that the decline will not be orderly and there will be a rush to the exits. I expect this to take place sometime over the next 18 months. While gold is long overdue for a large pull back, and the dollar is long overdue for a short term rally, the long term direction of these two markets is in the early stages. During the gold and silver bull market back in the 1970's, over 70% of the move in the markets occured during a three month period in November, December, and January of 1979-1980. I expect the same thing to happen this time only on a much larger scale. During this period the only thing that will matter is the number of ounces of gold and silver you own. Do not pay attention to the short term price movements or the dollar price which will soon mean nothing. The following chart shows the growth in the number of government employed workers from 1935 to present day. In order to pay for a government worker the money has to be taxed from the private sector workers. Today there are 4.8 private sector workers for every government worker. Wouldn't you be very concerned with what that government worker was doing every week and how much he was paid? Is he earning that money? We'll get back to that in a second. In 2008, according to data from the Commerce Department’s Bureau of Economic Analysis, the 1.9 million civilian employees of the federal government earned an average salary of $79,197. The average private employee, by contrast, earned just $49,935. The difference between them came to more than $29,000 - a differential that has more than doubled since 2000. Taking account of total compensation - wages plus benefits - and the disparity is even more striking. In 2008, total federal civilian compensation averaged $119,982 - more than twice the $59,908 in wages and benefits earned by the average private-sector employee. Anyone with a simple understanding of mathematics can understand that this situation is unsustainable. But why are Americans not in an uproar over having to pay for these workers? It is because they are not paying. Their payments are being put on the credit card for future generations, plus interest. Obama has estimated a $9 trillion deficit over the next ten years. Over half of this deficit, $4.8 trillion, will just be the interest payments to support the current debt. Think of it as putting $100,000 on your credit card every year. Each year the interest payments get higher and higher until you get to the point that you are borrowing money just to pay the interest. Even in this scenario you have to find a bank that is willing to lend you the money. The same thing goes for Obama. His bank is the savings of the hard working foreign countries around the world. The will have to provide 100% of the money they work hard and save every year to cover Obama's spending and the cost of our government workers. As you know by now, most of these countries have decided privately and in some cases publicly that they do not wish to participate. State and local budgets are in crisis mode right now because they cannot bring in enough tax revenue to cover their expenses. The same thing will happen to the Federal government once their debt financing source is cut off. Then our fate will be solely in the hands of Ben Bernanke the President of our Federal Reserve. He has stated and shown that he has every intention of monetizing the debt. This scenario has happened countless times throughout history and is repeating itself again today. Happy Thanksgiving everyone. I have a busy week ahead of me so I wanted to take some time now to make sure I give thanks this year. First of all, I want to give thanks to Dr. Ron Paul, who after thirty years of dedication is as close as we've ever come to putting a chink in the Federal Reserve's armor. His bill would allow the American public to view the Federal Reserve's balance sheet looking back 6 to 12 months. Of course, the Fed is currently doing everything in their power to stop it from going through, claiming it will severely impact their ability to destroy the lives of the middle class. On a similar note I give thanks to John Paulson, who at this point may be regarded as the greatest hedge fund manager in the world. I wrote an entire column dedicated to Paulson months ago, and I explained how he came into prominence through his early understanding (and shorting) of the financial markets before they collapsed. This week he announced he is opening a 100% Gold focused fund and is contributing $250 million of his own money when it opens. Paulson is standing on a mountain top, ringing a bell, to announce what is in store for the American dollar. I also give thanks to Central Banks for turning a 180 on their 100% recycling/purchase programs back into American assets. They also are currently loading up their balance sheet with gold. While this will cause the United States economy to collapse in the short term, it is the best thing for our country in the long term. If they stop buying our debt, it puts a limit on how much damage Obama can inflict on the American people with his never ending debt binge. This story will come to an end sooner than most people think. Think of two trains leaving the station and going in opposite directions. On one train are the foreign Central Banks running from US debt, and the other is Obama sending us deeper into the abyss. It may end as soon as next year when foreigners completely stop attending our bond sales. 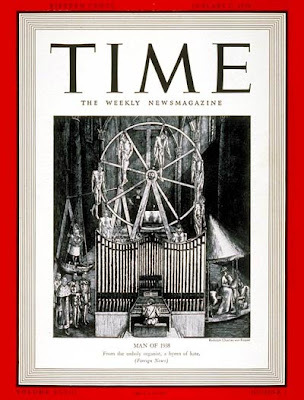 The only purchaser will be Mr. Bernanke and his printing press. This of course will lead to the complete collapse in value of our currency, but as I mentioned before, once they have completely destroyed everything that America once was we can begin to rebuild. For the foreign nations coming to their senses, I give thanks. I also give thanks to be able to watch one more financial bubble that may be as ludicrous as the dot.com bubble and the real estate bubble combined. That is the bubble currently located in the bond market. As of this morning if you want to lend your money to the Federal government for six months you get a return of .13%. If you want to lend your money to the Federal government for a year you get a return of .26%. Let me help you understand what that means. So you invest all your $1 million and anxiously wait for the check to come in the mail for your yearly retirement income. Do you know how much the check would be? Yep, that's how much you would have to live on every year. And not only that, but your money is being held by the American government, which remember is currently 100% bankrupt and insolvent. And not only that, but they have essentially announced week after week that they plan on doing every thing in their power to crush the value of the currency. To crush the value of your $1 million. THIS IS THE INVESTMENT THAT EVERYONE IS IN RIGHT NOW! For that I give thanks, it is amazing to watch the madness of crowds. As I've mentioned over the past few years, 2009 would be the year that the public first began to move to gold, the currency should begin to really break down during 2010, and we will most likely face a currency crisis by 2011. This will coincide with the year that people understand the crisis we face with oil supply. The word of the year during 2011 may be rationing. Whether it be filling up your gas tank or going to the hospital to get your Obamacare. Until then, many people I know are taking steps today to protect themselves. Meredith Whitney, who has essentially become the Queen of financial analysts and made her name warning of the credit crisis years ago, took some time to speak with Maria this afternoon. I've spent a good portion of my weekend reading through the "Emerging Trends In Real Estate 2010," which is a 90 page analytical forecast presented by PriceWaterhouseCoopers and The Urban Land Institute. To summarize some of the main themes, 2010 will be the year when some of the buying opportunities first begin to appear in the multi-family, hotel, and industrial markets. Office and retail have a long way to go. Over the past 12 months banks and property owners have been in a state of shock. By year end commercial real estate prices will have fallen 30-40% from peak levels and, based on this forecast, will have fallen 40-50% by late 2010 and early 2011. We do not see these prices reflected across the board yet because there are no transactions taking place. Banks do not want the properties back on their books, and property owners do not want to sell. Both sides do not want to recognize the true market values and their losses. We are in a world called "extend and pretend." This world can continue on for only so long, and industry experts believe we will see the true blood and gore begin to emerge by the end of next year. This will come both in the form of property owners giving up and declaring bankruptcy (if possible) or banks and the government finally beginning to unload their enormous portfolio of real estate loans they have acquired over the past 18 months through the bail out process. The FDIC and the Federal Reserve will be looking to unload their properties. Many people, including myself, believe that process will emerge in the form of the Resolution Trust Corporation Part 2. The original RTC was created in the early 90's during the previous savings and loan crisis. Banks were scooped up during the government program as they failed and their properties were unloaded to investors at pennies on the dollar. Before this happened again, due to the growth in size of the real estate problem, the government had to make sure that their friends at the big banks such as Bank of America, J.P. Morgan, and Goldman Sacs were protected. Now that these large insolvent zombie banks have been nationalized and are cozy in the arms of the government collecting huge tax payer bonuses, the real estate can be sold into the market for a fraction of its price and the losses will be paid for by the tax payers. It is a horrifying process to watch as the American people have absolutely no understanding of what is happening while they are pillaged by the government. As the real estate market works toward finding its bottom the dollar continues its long term devaluation and no action to stop its fall is even being discussed. Interest rates, we are told, will be kept at 0% indefinitely. We will run larger, and larger, and larger deficits that will continue to be financed with printed dollars. Central Banks around the world are continuing to move away from the dollar and they have found a new friend, well I should say, an old friend. First the first time since the early 1980's Central Banks have openly announced that they will become net buyers of gold after being net sellers for close to 30 years. This shift is not small, subtle, or indiscreet. It is MASSIVE. The importance of this is felt mostly from entities that have been able to suppress gold at their will in the short term by shorting futures contracts on the COMEX. This tactic over the past 10 years has both kept gold's rise slow and steady and allowed them to profit considerably as they moved the market lower and took profits. Now this tactic has become far more dangerous. If you take a large short position and a Central Bank announces the purchase of $7 billion in gold, as happened two weeks ago with India, then your short position will be run over by a train. This will continue to happen as purchases are announced by China, India, Brazil and the other developing nations that shape the future world we are headed toward. This takes care of the demand side of the equation but what about supply? As gold prices move toward record levels week after week we must be in a period of tremendous new supply entering the market, right? Yesterday the President of the largest gold mining and production company, Barrick Gold, noted that "after ten years of declining production it is time to recognize that the world has seen the peak in gold production." We are in the early stages of the spectacular finish to the golden bull. Pension funds, hedge funds, governments, and now even central banks are entering the market. They are entering the market at a time when production has peaked and will begin to decline. 2010 will be the year when the true blood and gore emerge from the real estate market. On the opposite end of the spectrum the precious metals will enter the spotlight, and the silver market could become the greatest mania in world history as investors rush in and realize there is absolutely no supply available. Should I Buy Real Estate Today? I was talking with my Dad on the phone last night, and at the end of the conversation he mentioned a friend of his was in the process of purchasing real estate as an investment and he asked me if I thought it was a good idea. I gave him a brief answer, and while every investment decision has to be made based on a wide variety of factors such as that person's age, income, family, investment goals, etc., I'd like to talk about that answer a little here. Before I get there, I want to preface by saying that there may be no one on earth who thinks more about the direction of real estate prices than myself. Some of you who read this know me well and others have never met me or know much about me at all. Based on my extremely pessimistic outlook on the direction of the market, it may seem strange to hear that my life is 100% focused and dedicated to the purchase of real estate. I spent 40+ hours per week managing a 460 unit apartment community in Charlotte, NC. I spend my days paying rent, paying bills, filing evictions, speaking with vendors, managing a budget, marketing, and learning everything it takes to run a building from top to bottom. The work is extremely hard, and the pay is horrible. In my free time I work with a real estate developer who is focused on building a new company. This company is involved with real estate financing projects, consulting with banks on distressed properties, and brokering deals with banks, developers, and builders in the area. While I'm not working on those projects, I am usually churning through financial statements for commercial property across the country. I run income/expense analysis projectings using software programs to determine how attractive a building is as an investment. I am also currently studying to receive the Certified Apartment Manager designation. If you have read more than two articles on this web page you know that I am about as bearish on real estate as anyone in the country. So why on earth would I spend my time doing these things? I'll get to that in a second. First let me answer the question above. Is real estate a good investment today? I believe today that both those factors are working together against real estate. 1. The median income in this country has been stagnant for over ten years. This is a scary statistic for a country that has found itself deeply in debt. On top of that unemployment continues to grow month after month. Both of these factors are likely to get worse moving forward. 2. As I have discussed in detail previously, credit/financing for real estate today is almost exclusively being provided by the government and the Fed. The Federal Reserve has become the ultimate buyer for new mortgages issued, and the government has stepped in and provided tax credits to new purchasers. If you buy a home today with an FHA loan (government loan), for $200,000 you can receive a 5% interest rate and only need to provide a 3% down payment. With this wonderful loan package many new buyers receive a check from the government for $8,000 for purchasing the new home. For simplicity sake, let's say that you get an interest only loan. 3% down on a $200,000 home means that you only need $6,000 to close. As I mentioned before the government is chipping in $8,000, so you essentially receive a check for $2,000 for buying the home. You also lock in on a total monthly payment of only $1,050, estimating taxes at (1%) and insurance at ($50). Going rental rates for your home in this area are $1,200. To a new buyer deciding to purchase the home appears to be a no brainer. However, lets fast forward two years as this new buyer decides to sell their home and take the profits on their home equity. In the world I see, for reasons I will focus on in other articles, interest rates are going to be higher. Much higher. Government bonds, corporate bonds, and especially mortgage rates are going to be very different. The average mortgage rate going back over 100 years is around 10%. I see a world where they could be higher. The average down payment on a home going back over 100 years is between 20-30% down. I see a world where the down payment could be higher. How is this possible? Imagine a world where the government did not provide home buyer tax credits, and the Federal Reserve did not purchase all new mortgages. Can you imagine this world? It is the world we lived in only 10 years ago. The home owner decides to list home their home at $200,000. Having to put down 20%, a buyer has to come up with $40,000 in cash at closing. If interest rates are at 10%, then the total payment on that $160,000 mortgage is now $1,500, instead of $1,000. What if the median income in the area has fallen, and what if unemployment stays above 17%? What if incomes fell and unemployment rose? In order for these buyers to put down 20% and be able to handle a 10% interest rate based on their income, real estate prices would have to collapse. Is real estate an good investment today? No. I do not believe it is. That being said, I believe there is an opportunity of a lifetime to purchase real estate in a few years. This future time period is what I prepare for today. I do not own gold and silver because I think it's a good long term investment. I own them because I believe they will be able to purchase more real estate in the future than any other investment. I do not spend my days working at an apartment community because I like the job or the pay. I do it because I want to walk into a bank in two years and tell them I have the ability to purchase and manage their asset with absolute certainty. For those of you that have taken my advice over the past few years and put a portion of your wealth into precious metals I congratulate you on taking that step. You may be wondering what the next location for your money will be once the precious metals have reached their peak. I assure you that I am focused on that next step today. When the time comes if you are brave once again, I will provide partnership opportunities for distressed real estate assets across the country. That is some time away, so until then please consider carefully your investment choices today, hope for pull backs in gold and silver, and keep adding to your positions. A tremendous amount of news, data, and government plans have hit the financial world over the past few weeks. I'd like to take a minute to look at these individual topics with some actual economic and financial reality. Let's start with the jobs report which was the big news event of the week on Friday morning. This report comes out on the first Friday of every month. Unemployment crossed 10% as 190,000 new workers were laid off. The U6 number crossed 17.5% and real unemployment crossed 22%. Last month I wrote a full article titled "Understanding Unemployment" which readers should reference to get a better scope of the numbers. What is even more important than the total number is the breakdown on which sectors of the economy are hiring and firing. 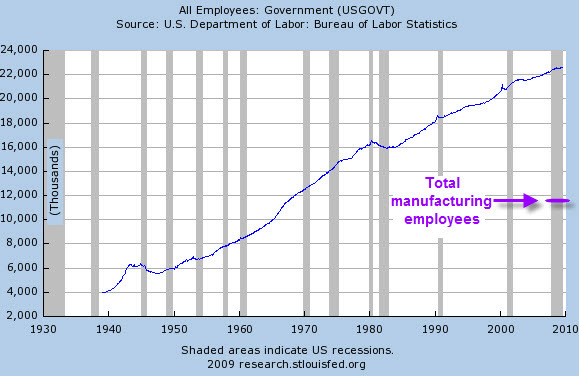 For example, the manufacturing sector lost 61,000 jobs while the education/health services gained 45,000 new jobs. The government jobs increased as well. While it is important to have people working in the education and health sectors of an economy, simple economics explains that the manufacturing jobs are what pay for education, health, and government services within a nation. A country that produces goods and saves their money has the luxury of affording government jobs. On a similar note this week the administration decided to extend unemployment benefits to help ease the massive unemployment sweeping the nation. Obama announced this move as a tremendous benefit to the economy as the people receiving the checks can now go out and spend. One must wonder if the President is joking when he says these things. If someone is receiving an unemployment check that means someone else was taxed in order to pay for the benefit. It is not an increase in wealth, it is a transfer of wealth. If unemployment checks helped the country, why not just send checks forever and send every family a check for $10,000 a month? Of course, taxes were not raised to send the families the money, it was borrowed and taken out of the purchasing power of our currency, the hidden tax. Speaking of the currency, the Federal Reserve announced at its meeting this week that they would be keeping interest rates at 0% and that they planned on keeping it that way for an "extended" period of time. The Bank of England has followed with keeping rates at .5% and the Euro Central Bank countered with their 1% stance. Both banks plan on keeping rates this low for an "extended" period. 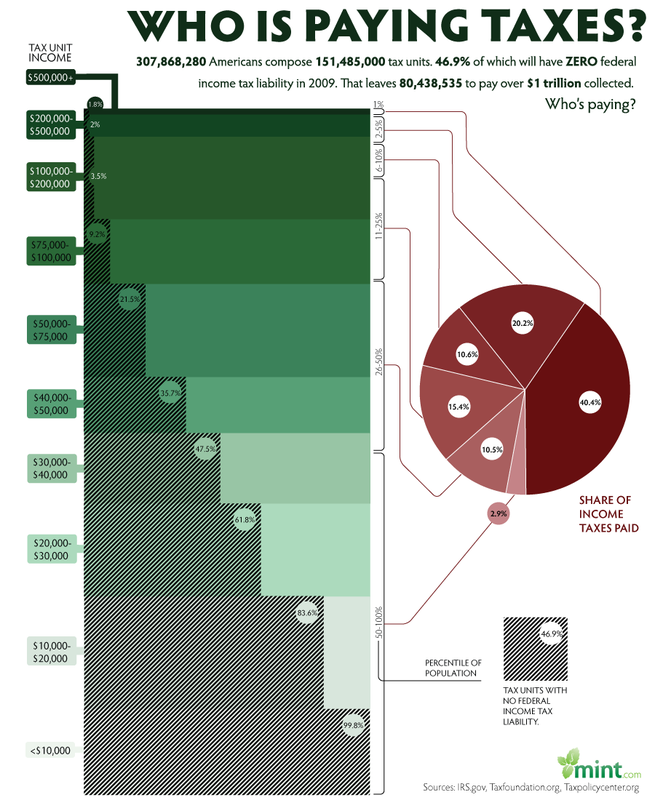 There is no difference between 0%, .5%, and 1%, they all represent essentially free money everywhere. Dumping from helicopters. So where is this free money going? We got a glimpse this week as we received word that bank reserves are exploding. They have recently crossed over the $1 trillion mark and they continue to grow month after month. This means that banks are borrowing money from the bank at 0% and storing the cash with the Federal Reserve at .25% interest. This $trillion in new money if lent out could immediately become $10 trillion under the fractional reserve banking system. The deflationists would argue that the money is being held to cover current and future losses on their balance sheets. They are exactly right. However, last March banks were allowed to change their accounting standards so they could mark their assets to "myth" instead of market. This means if they have a commercial loan of $100 million and the building is only worth $50 million, they do not have to take the $50 million in losses, unless the building is sold. The banks have $1 trillion on their balance sheets cocked like a fire hose waiting to be unleashed. The real estate market has a ocean of inventory hidden from the public cocked like a fire hose waiting be unleashed. Fannie Mae and Freddie Mac have found themselves in a similar situation, only on a larger scale. This week they announced their new "rental" program. If I was writing on this web page and trying to imagine the worst possible things the government could do, I could not come up with these examples. In order to deal with the tsunami of foreclosures and losses hitting their books month after month, (they just went back to the government for another $15 billion to cover losses) they have decided to allow homeowners that enter foreclosure to rent their current homes at free market value and be excused from their debt burden. This means if you owe $500,000 on a home in California and the home is now worth $200,000 (a very likely scenario) and you stop making your monthly payment of $5,000 every month, the government will allow you to rent at the market rental value of around $1,500 per month. Because you are now a renter, if you have damages to your home, or your toilet is broken, or a light goes out, you can now call on the government to come fix these problems; Big daddy landlord. The losses from this program will be so staggering it is impossible to quantify. Losses have no meaning now for Fannie and Freddie because they are government run entities. All the losses are now paid for by the taxpayer. Or are they? I have heard of no new tax increases to pay for the endless spending, but you know who is paying for the losses; it comes from anyone who is stupid enough to hold American currency. Unfortunately, that appears to be the American people who have absolutely no understanding of what is taking place. Foreign dollar holders are running for their life right now toward hard assets such as gold which crossed over the $1100 mark on Friday morning. As I said all of last year, I anticipated 2009 as the year gold would cross over the $1,000 mark and would mark the very beginning of the public entering the market. We are seeing that today as some of the early entrants are adding "small" amounts to their portfolio. The public invests in an asset because the price is going higher so as the gold price continues to rise in the coming years it will bring on more and more of the masses. I imagine there will be a tremendous pull back coming soon in the price of gold, and there is a huge rally due for the dollar. Take these actions as a gift and add to your positions. The real value in the precious metals market today is in silver and mining stocks. If gold sells off, which I hope it will, it will probably take down the price of silver and the mines and will present a tremendous buying opportunity. A major news story a few months ago was that the International Monetary Fund (IMF) was going to be selling a significant portion of its gold reserves in order to raise capital to help countries in need of additional bail outs. This struck fear into the heart of gold investors (including myself) because the amount of gold they planned on selling was an enormous quantity. This afternoon they announced that they had already sold half of the total gold they plan on selling. The number of buyers that it took to sell it all? One. India stepped to their window and took every ounce of gold they could get their hands on. They have essentially rung a bell that is now being heard around the world. The important part of India's purchase is not that they want to accumulate more gold, it is that they want to diversify themselves out of their dollar reserves. THEY DO NOT WANT THEIR DOLLARS. The entire world is playing a game of musical chairs right now, and everyone is taking their positions as quietly as possible. China has gone on a spending spree over the past twelve months accumulating copper, steel, oil, gold, and companies that produce natural resources. Instead of funneling the majority of their savings back into United States treasury bonds, they are diverting their money elsewhere. THEY DO NOT WANT THEIR DOLLARS. In the meantime, back home here at the States, we need the world's savings more than any time in history. Obama has announced a budget deficit next year in the order of $1.4 trillion. That means the rest of the world has to send every dollar that they work hard to save in order to finance our budget deficit. Not only that, but they have to do it every year moving forward, forever. Our leaders have no plans on cutting spending, and they have already told the rest of the world that is our stance. Remember, Obama has estimated a $1 trillion+ budget deficit over the next ten years, assuming that our economy rebounds sharply and begins growing again right away. Speaking of that, lets take a look at how we're doing. As part of Obama's "stimulus" program of close to $800 billion earlier this year he has and will continue to send hundreds of billions to state and local governments. The plan was to stimulate the economy with fresh new jobs with these fresh new bills. Unfortunately, the state governments are themselves running massive deficits as the local real estate and economies crumble around the country. The money from the stimulus program will run through next year. What happens after that? The Lieutenant Governor of New York last week estimated that in 2011 state governments will run a $500 billion deficit. This will be added to the $Trillion plus national deficit if we get the rosy economic picture to emerge. As our economy continues toward oblivion and unemployment moves closer toward 25%, you will see calls for stimulus number 2, then stimulus number 3. To add to this debt, Obama's team has also announced their new Obamacare plan. The cost? $1.2 trillion. Please understand, I would like for everyone to have medical care. I would like for the government to send stimulus checks to everyone in the mail, and I would love to have them create employment for everyone. BUT WE HAVE NO MONEY. WE ARE 100% INSOLVENT! We owe $100 trillion, we are adding $5+trillion in total debt per year, and the numbers grow worse as we move forward. The rest of the world is moving as fast as possible right now out of their dollar positions. What do you think will happen when they not only do not finance our $1.4 trillion deficits, but they actually become net sellers? That kind of stuff is not important, so lets talk about something more fun. Billionaire Wilbur Ross sent shivers through the real estate market last week when he announced that we have not even begun the commercial real estate meltdown. He came back on CNBC this morning, not to take back his statement, but to reconfirm it. He also said that he felt the government would not save the commercial real estate market the way that they are artificially supporting the residential market. Why? "Because buildings do not vote, but households do." His words were music to my ears as I believe this is where the NEXT investment opportunity in this country will be located. As money over the next few years moves away from American stocks, real estate, cash, and especially bonds, it will move toward the emerging markets and commodities. This will be the time to sell your foreign stocks and commodities for American real estate as the market is on a fire sale. Banks will once again be giving property away for pennies on the dollar, just as they did back in 1991 during the savings and loan crisis. Only this time the opportunity will be far greater. Warren Buffett this morning announced the purchase of a major American rail company, saying that he is betting on the future of America. What did not get press, however, was that every time he said that during the interview he said he was betting America will be a better country 10, 20, or 30 years from now. I agree with him 100%. When Clinton, Bush, Obama, Greenspan, Bernanke, and their minions finish destroying everything this country represents, I believe that when we begin to rebuild it will be the buying opportunity of a lifetime. We will once again be the greatest emerging market in the world. To celebrate the 100th bank failure this year Sheila Blair took a few minutes to comfort the American public and let them know that they have nothing to fear moving forward. The FDIC just recently ran out of money, and they have opened up their $500 billion credit line from the United States Treasury. The Treasury now gets their money from the Federal Reserve who is purchasing the majority of all new debt entering the market. The Federal Reserve gets their money from an electronic printing press. Sheila Blair is telling Americans the absolute truth in this video. Depositors will be made whole across the board in every single bank failure moving forward. They will receive 100% of the insured dollars they held at the banks. Unfortunately she forgot to mention that the value of those dollars received will be close to nothing, and this will ultimately lead to civil unrest. Happy Halloween everyone, the scary stuff is coming soon. I'd like to welcome aboard my foreign/non-US viewership that has grown significantly over the past six months. Also, before getting started I would like to thank Jim Puplava of the PFS Group for a lot of the information presented in this segment. My goal with this web page, which I hope I have accomplished, is to take somewhat complex topics and discuss them in a way that is easy to understand. One of my main focus points has been the next major shift in the global financial markets, which is the fall of the United States currency. However, there are many, many, aspects to the financial system other than currency trends and how they effect the markets. I would like to take a step back now and try to bring some of the market cross currents full circle by looking at where we've come from, where we are today, and where we are headed. I will be taking new aspects into view such as market cycles and derivatives. To help you understand some of the topics here, I would advise starting with the documentary above titled "The Warning." It was developed by Frontline, and presents a fantastic behind the scenes look at the origins of the derivatives monster. In 1985 there was an event held called the Paris Accord, and a few weeks later at the G7 (a gathering of global leaders) it was determined that the dollar's value was too high and hurting global markets. Actions were taken to change this course, and in the Summer of 1987 this caused a mini run on the dollar and it began to plunge. To counter this, the Federal Reserve raised interest rates to 10%. This rate raise caused some turmoil in the markets, and many believe it was one of the determining factors that led to the October, 1987 stock market crash. Forever known as Black Monday, the stock market crashed 22% in a single day. To help you visualize that type of decline, it would be the equivalent of the market falling 2,200 points today, in one day. Two weeks before the 1987 stock market crash, a new Federal Reserve Chairman had been crowned. His name was Alan Greenspan, and he would take the markets in a brand new direction that the world had never seen before. To counter the market crash in 1987, Greenspan dropped interest rates and unleashed an ocean of liquidity into the market. Throughout the 1990's, every time there was a set back, mini-crisis, or recession, Greenspan did the same thing; lowered interest rates, and flooded the market with money. There are consequences for these actions. In the 1990's we saw the greatest stock market run in world history, as Greenspan brought the market to unimaginable heights. 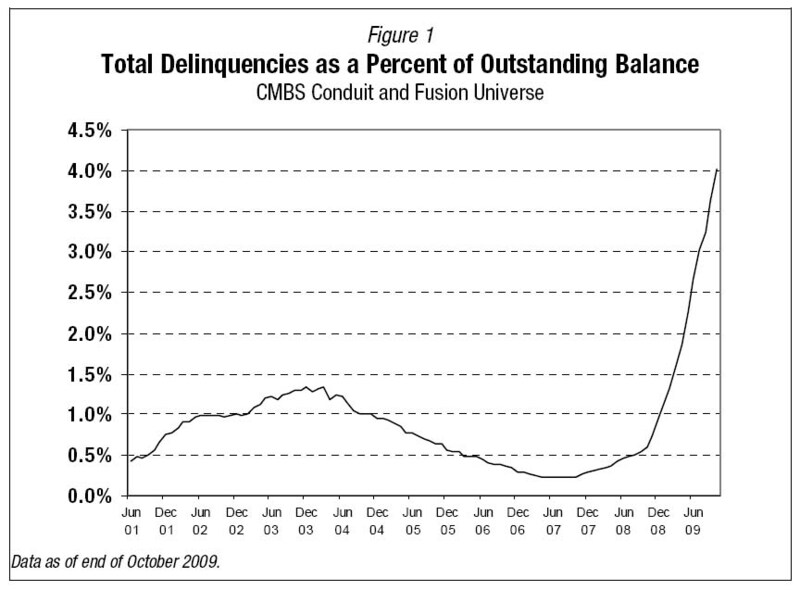 In the mid-90's an instrument known as derivatives began to grow off banks' balance sheets. It started very small and began to grown exponentially. The Frontline documentary above discusses this period in detail. They end the program around the 2000 period and that is where I want to pick up from there. After Long Term Capital Management collapsed, our regulators had a chance to reign in the derivatives growth and protect the financial markets from "systemic failure." As seen in the film, they did everything in their power to prevent regulation. In 1999 they repealed the Glass Steagall Act. This act originated during the great depression creating a wall between the banking and investment banking portion of these large banks. This meant that banks in charge of protecting the public's money could now take endless risk with that money. In 2001 they created the Commodities Futures Modernization Act. This completely removed derivative securities and credit default swaps (a form of derivatives) from Federal oversight. The market had officially become the Wild West. These three acts opened the door to a derivatives explosion, but while this dark market began to grow, Alan Greenspan continued dumping gasoline on the fire with his free money policy. In 2001, in response to the stock market crash, he lowered interest rates down to 1% to try and get overleveraged Americans out the door to borrow and spend. This is where things become very important. Greenspan had created a period of boom and bust cycles with his reckless free money policy. What is important to understand is that each time we experience a boom bust cycle it takes a different form than the last. When the stock market exploded in 2000 the cheap money that Greenspan brought into the system found its way into the real estate market. Everyone knows the story from here.....the cheap money allowed loans to be sold, packaged, securitized, and sold all around this world. This created the real estate bubble that blew into 2006. What was not seen, however, was the off balance sheet derivatives growth centered around the housing bubble. As these loans were being created and insured by lenders such as AIG, there was another market that was taking "side bets" on whether these loans would default. These side bets were known as credit default swaps. At the peak, the credit default swap market approached $60 trillion in size, three times larger than the entire housing market. During last fall, you repeatedly heard that banks were being bailed out to avoid systemic risk. The systemic risk did not come from the actual loan defaults, but from the off balance sheet bets made on the mortgages. AIG was not only insuring the actual mortgages, but they were insuring the gambling off balance sheet arena in the dark derivatives world. If one institution could not pay out on its derivatives position, every institution would simultaneously fail down the line. Before I discuss where we go from here, it important to understand that during this entire process one thing has remained constant: The derivatives market has continued to grow in size. In 2001 the entire United States derivatives market was $60 trillion. Today this market now stands at $204 trillion. The entire global derivatives market has just crossed over $600 trillion in size. During the crisis last fall you would have expected this market to shrink considerably right? No chance, it has not missed a beat. The market grew 1% last year during the crisis, and it grew over 1.5% last quarter in size. J.P. Morgan has $1.7 trillion in total assets. Their derivatives position: $80 trillion. Goldman Sacs has $120 billion in total assets. Their derivatives position: $41 trillion. Bank of America has $1.5 trillion in assets. Their derivatives position: $39 trillion. Citi has $1.1 trillion in assets. Their derivatives position: $32 trillion. These four banks account for 95% of all derivatives trading. It is also clear to see that just a small loss in their derivatives positions wipes away their entire net worth completely. 1990 recession Greenspan floods liquidity creating boom in stock market. 2000 stock market bust, Greenspan floods liquidity creating boom in real estate. 2008 real estate bust, Bernanke flooding liquidity as we speak. The next crisis or bust, which may be two or three years away, is going to come from the dollar. As the dollar begins to fall, interest rates are going to rise across the board as investors demand a higher return to offset the currency risk. Even the Federal Reserve will have to raise rates to try and stem the inflation. In the $600 trillion derivatives off balance sheet black hole, 95% of the financial instruments are tied to interest rates, they are known as Interest Rate Swaps. As the interest rates begin to move violently upward, it will cause chaos in this swap market, similar to what was seen on the insurance purchased on subprime real estate. It is only a matter of time before this market detonates. This is the reason Bernanke is doing everything in his power to keep interest rates low. He is buying treasuries, buying mortgage securities, and he has the Fed Funds rate set at 0%. This strategy, however, has a perverse effect on the value of our currency and combined with Obama's mission to bankrupt the nation, foreign investors are heading for the exits. 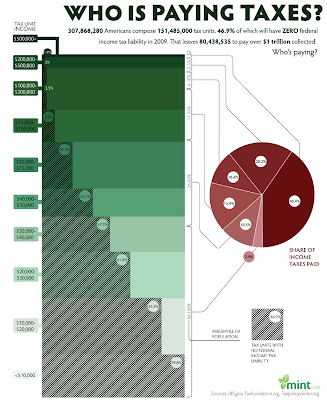 The bailout for the next bust will be in the quadrillions, not trillions. 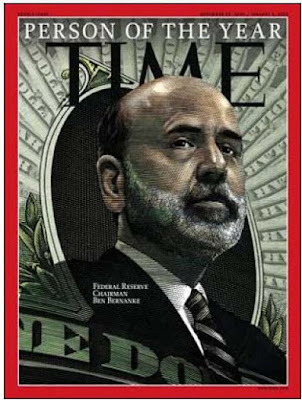 The question is, can you save dollars faster than Bernanke can print them? I don't know anyone on this earth who can.